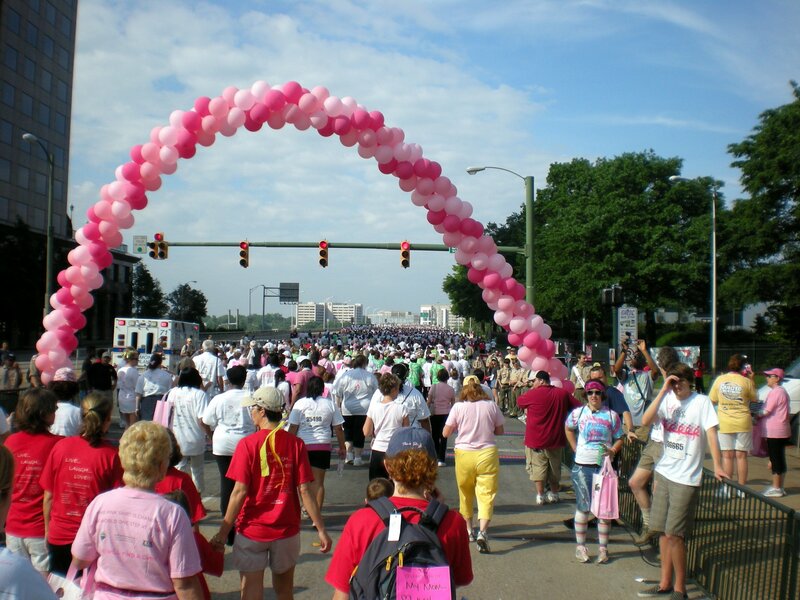 In recent years, there has been a tremendous pink ribbon marketing push starting around the middle of September. It’s great that corporate America has taken an interest, and now you can’t go anywhere in October (Breast Cancer Awareness Month) without being inundated by pink ribbons and pink, well, everything. As I did last year, I ask you to take a moment before plunking down money for yet another set of shears or pen set. Read the fine print on the item to see how much they are actually donating to charity from the cost of the item. In my experience, it’s been between 2-5% and rarely, if ever, higher. So if you spend $100 in October on breast cancer awareness stamped items, you’ll likely only have $2 to $5 actually going to the charity that the faceless corporation chooses. My preference is to instead find a charity that I think is reputable and trust-worthy. Care should be taken to ensure that a majority of your funds go toward the cause itself, rather than overhead. Charity Navigator seems to be a good site, as they evaluate over 5,500 charities from a financial management aspect. There are other sites, simply search on “charity overhead percentage” or other terms that are of concern in your decision making. The reason I have always preferred to give my money directly to the charity itself is quite selfish. I want to make sure that every penny leaving my hands is going to make a difference. Yes, it stimulates the economy to buy stuff. It also fills your home with things that you, in some cases, don’t need duplicates of, or don’t need at all. Another point on selfishness, is that you don’t get to claim the cost of a waffle iron with a pink ribbon on your taxes. You do get to claim a deduction to a non-profit organization, if you itemize. And make sure you get a receipt to document it, in case you are ever audited. If you still want to buy the items, go for it! I particularly like clothing items or car magnets, as they serve as a reminder to others of the needs of women and men suffering from this particularly devastating disease. And no, I don’t feel this way only over pink ribbon items. In this tough economy, I believe that most, if not all, charities are feeling the squeeze as folks have less money to share. So even if your cause of choice isn’t breast cancer awareness, make sure you spend your donation dollars smartly. Watch this site for a tax deductible and highly recommended charity that you can donate to with a few mouse clicks and keystrokes. Following my Mom’s passing from breast cancer in 2006 (Jesus, how could it have been so long? ), I felt a sharp stab of pain every time I saw a pink ribbon. As you can imagine, after her 2+ year fight she valiantly put up on this second occurrence, almost everyone at both of her services was wearing a pink ribbon in honor of her battle. I spent a lot of time looking at the ground. I even took my sons and nephews shopping because they wanted to get a pink item for their suits. Two chose pink shirts, the other two chose pink ties. I was never more proud of them for that, proudly laughing in the face of potential mockery and homophobic comments (I’ve got a rant on this I’m saving for another day), in order to honor their bigger-than-life and beloved grandmother. It’s actually a blur to me if I wore any pink at all, maybe Chooch remembers as he is my memory bank for the few months before and after she passed. The family talked about everyone wearing one, but I didn’t. It felt wrong to me for some reason that I can’t really explain. 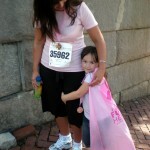 It was like kryptonite to me and I quite literally winced every time I saw a pink ribbon. 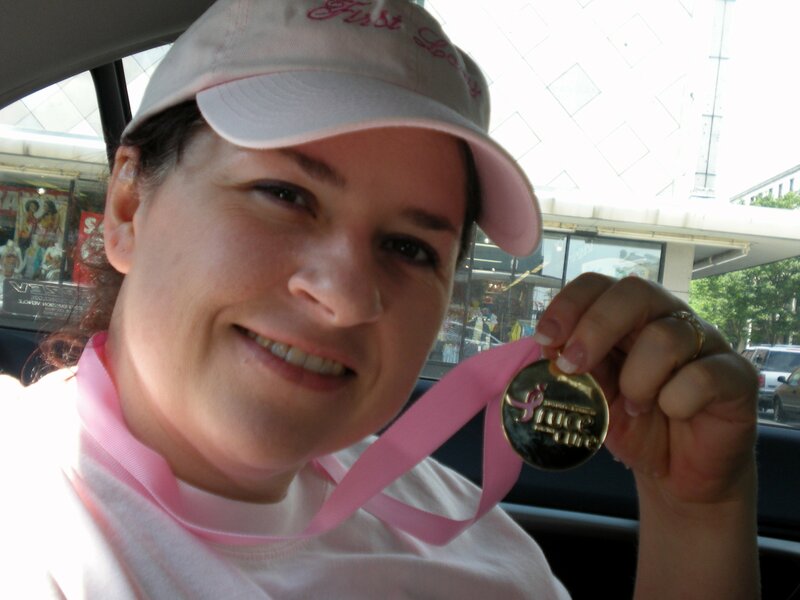 I can quite clearly remember the first time I wore a pink ribbon again, as it was on my participant T-shirt at the 2008 Susan G. Komen Race for the Cure in Richmond. I can tell you I wouldn’t have made it ten steps without Chooch and good friend Paulette Jaxton there that day. Although I don’t think she really knew what she was in for when she decided to join us. It was more than just a fundraiser and 5k for me; it was a crucial step in my healing process. And what a painful step it was. Talk about immersion therapy. That was a huge day for me, as I had enough distance from the loss to be able to embrace the community once again and proudly take steps for such an important cause, when my Mom could no longer do so. 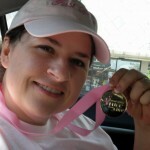 We did several Races for the Cure in Washington, D.C. after her first diagnosis in 1991. Hell, she even stood on the stage with other survivors one year, lined up in their pink t-shirts as the opening ceremonies were held. 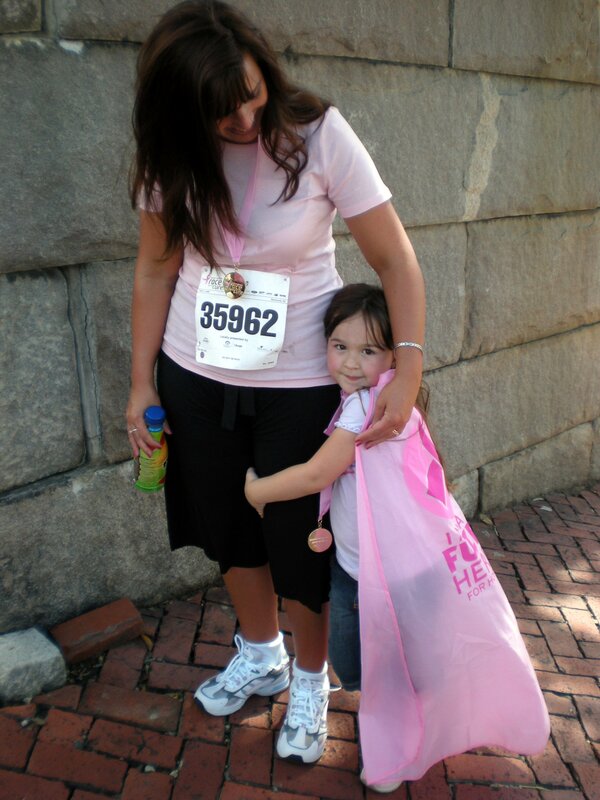 She truly believed that doing the Races made a difference, and not just for raising donations. 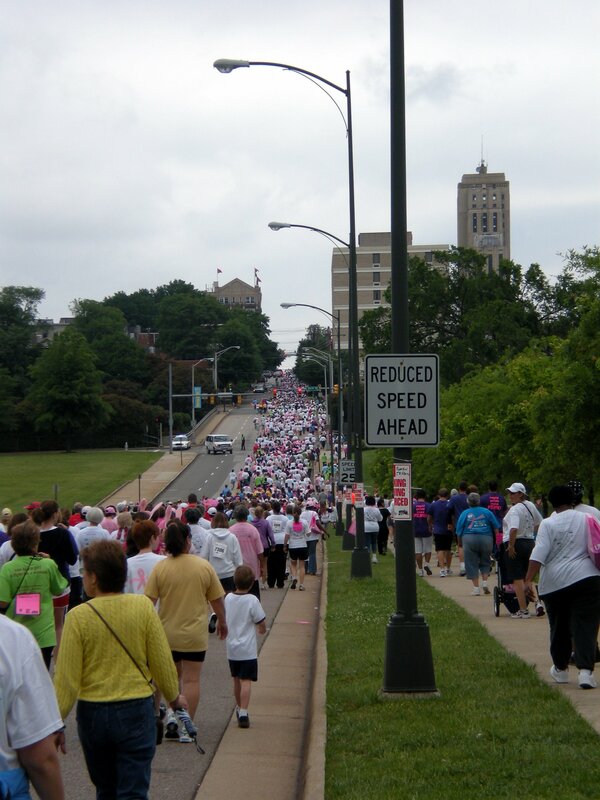 It also raised awareness and was an awe-inspiring sight, that sea of pink on the news that night. 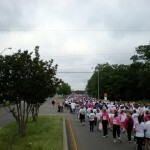 My hope is to raise funds for breast cancer research every year, in her name. I’ve done this since that first race in 2008, with Paulette and Chooch at my side. 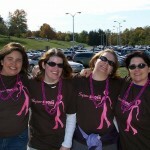 When I was physically unable to do the race this year, I signed up for the Sleep-In for the Cure. This allowed me to raise funds even though I was unable to attend. They even sent me a t-shirt. 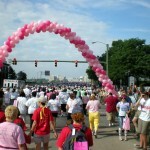 I’ll be doing the race, every year, and am considering adding other Komen races in different places. Even if I don’t raise any money through donations, they still get my registration fee, after all. And every penny counts. Someday, I’ll work my way up to the 3-Day race, as I’ve wanted to do for years and am freshly inspired to finally reach that goal. Who knows? 2011 may be the year. Remind you to do a breast self exam. Male or female, you need to know how your breasts feel to be able to determine if and when something changes. Urge you to immediately get to your physician to get it checked out if you find anything that concerns you, no matter how small. You have a brief window for early detection, and it can be the difference between life and death. Ask you to get another opinion if you feel your doctor is dismissive of your concerns. If you don’t have health insurance, check into local programs for a free or lower cost mammogram. It won’t go away just because you don’t have insurance. Tell you NOT to rely on youth for protection. You’d be surprised at how many people get breast cancer in their 20’s and 30’s. 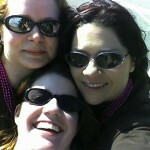 In fact, my ex-husband’s sister recently won her battle against breast cancer, and we went to school together. She’s 41, just like me. Every race I’ve done has been wonderful in its own way, and each time it is a bit less difficult staring down the pink ribbon. 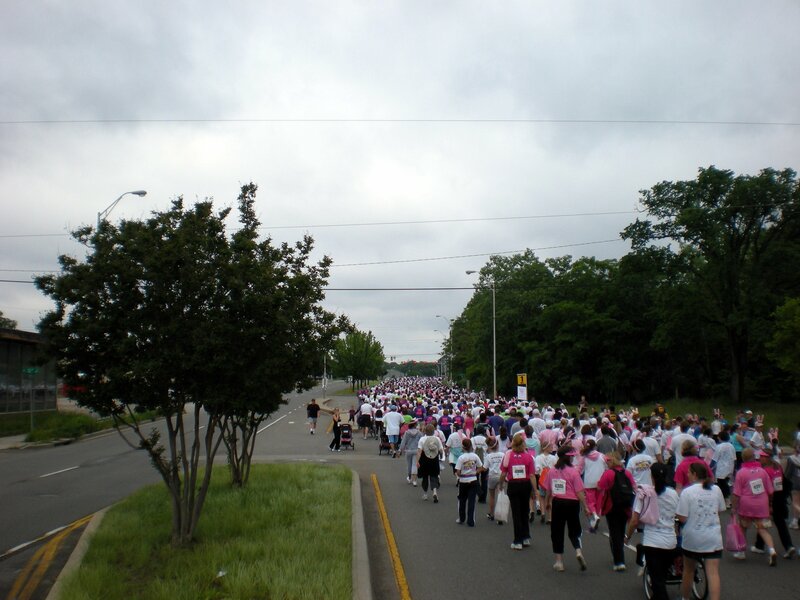 I’m including some pictures from breast cancer fundraiser races I’ve done, starting with May of 2008. Other folks in the photos include Paulette Jaxton, Allison Duncan, Mae Breakall and Jett Micheyl. 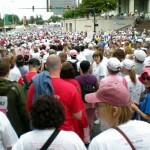 Race for the Cure 2008 – Pink shirts are worn by survivors. 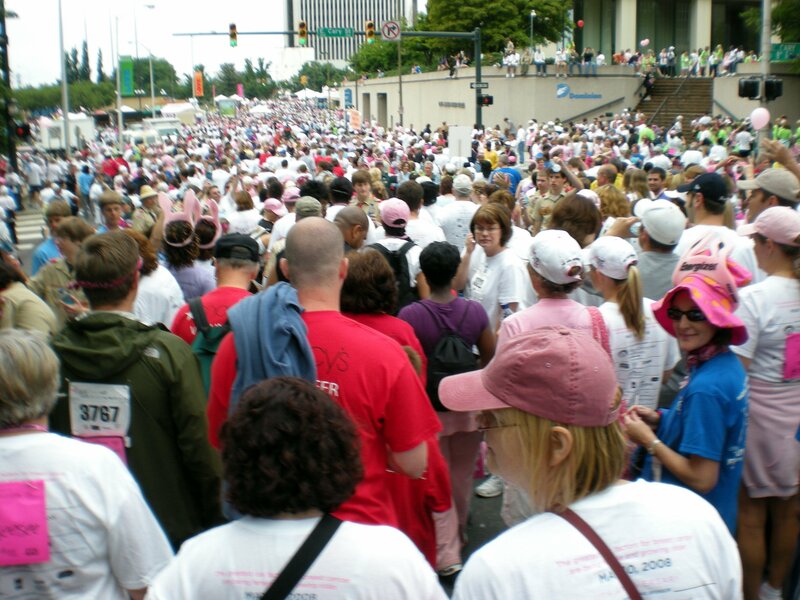 Race for the Cure 2008 – Many, many participants! 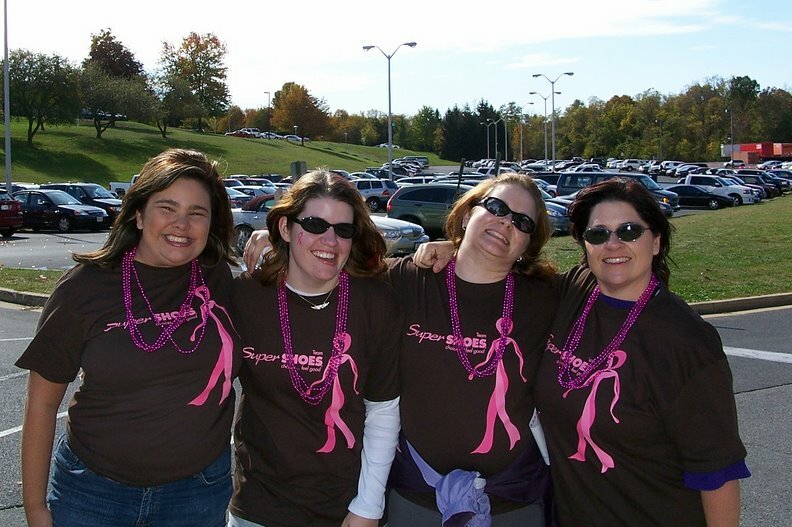 Race for the Cure 2008 – Viv, Paulette, and a kajillion race participants. 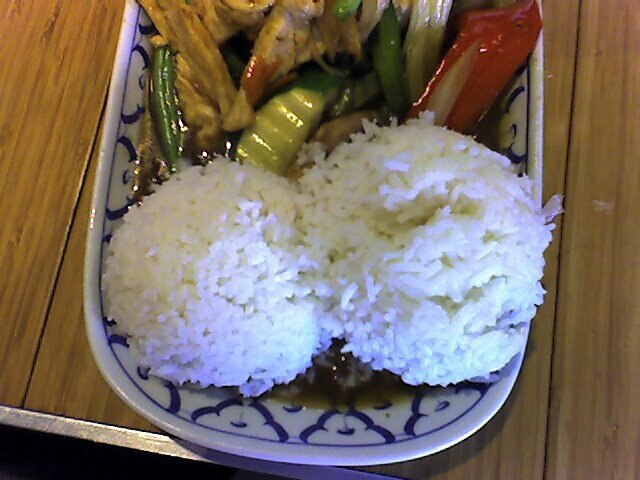 May 2008 – Post-race lunch at Thai restaurant. 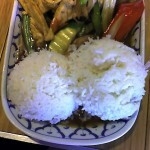 The rice looked like boobies! 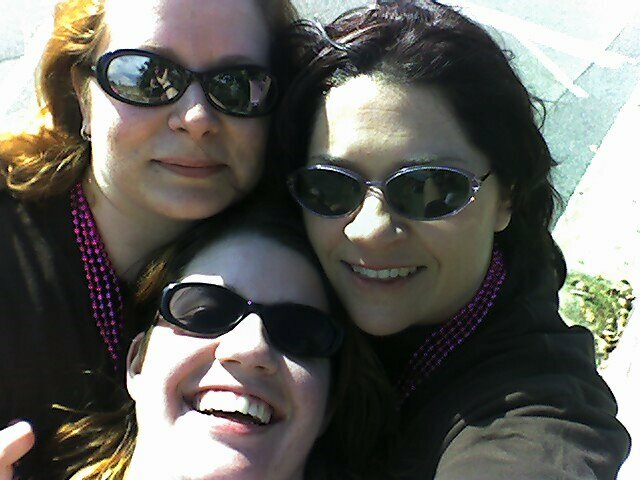 Oct 2008 – Allie, Viv and Jett @ Jett’s job sponsored breast cancer race. 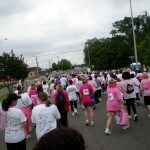 Race for the Cure, 2009. All finishers got a coin! 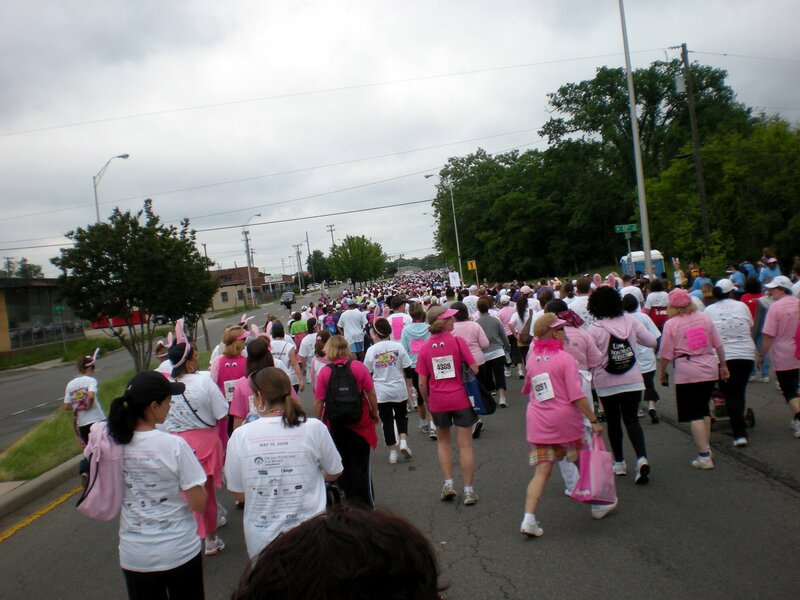 Race for the Cure, 2009. The ballons mark the race starting point. 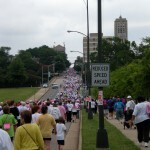 Race for the Cure, 2009. Shy angel wearing a cape that was given out.